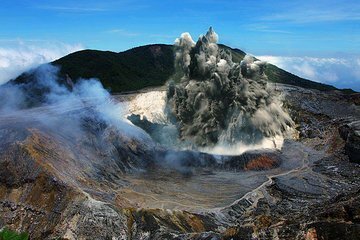 Discover the beauty of the Poas Volcano on a small-group tour from San Jose. Ascend the imposing volcano and learn about the various crops grown on its slopes including coffee. Notice the changing vegetation as you make your way to the summit which stands at 8,885 feet (2,708 meters) and take in the views of the main crater surrounding area from the top.